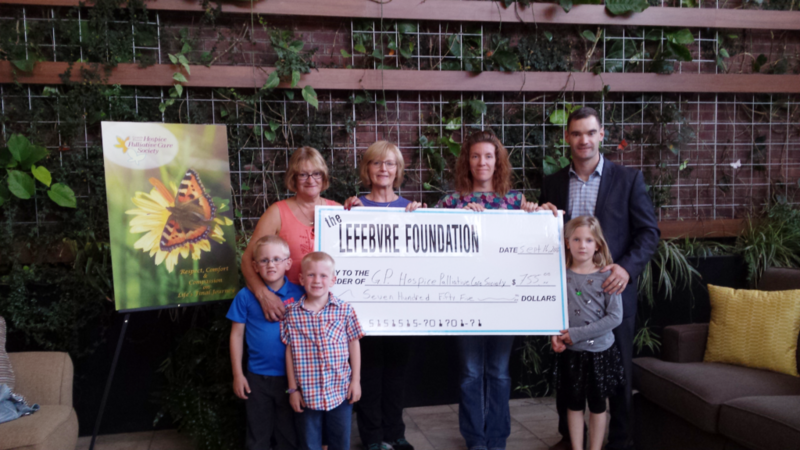 The Lefebvre Foundation was created in 2016 by Jimmy and Kristie in memory of Jimmy’s Dad, Simon. Always willing to lend a helping hand wherever he could, “Dad was one of the most Generous people that I knew.” Even when we had very little Dad was always willing to lend a helping hand. With the purpose of giving back to the great Communities where we Live, to help those who are less fortunate that need a hand up more than just a hand out. To help them past the temporary struggles that they are dealing with in life. The Lefebvre Foundation is devoted to raising funds for programs and initiatives which raise awareness, provide education, and treatment for both physical and mental health of those affected by cancer. Also, research for the prevention and cure of cancer, raise awareness as to how citizens can prevent cancer or improve their quality of life while on their Journey with Cancer.